St. Marys City (St. Mary's City), 1634-1694. 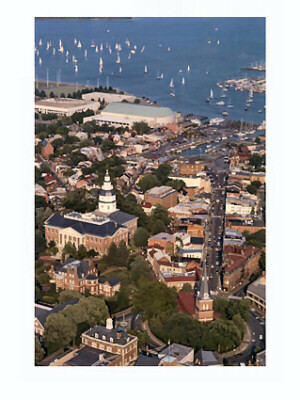 Annapolis, since 1694. April 28, 1788, 7th State. 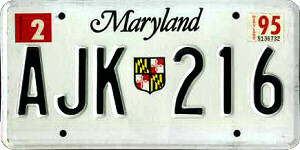 Maryland Geography, 12,407 square miles. 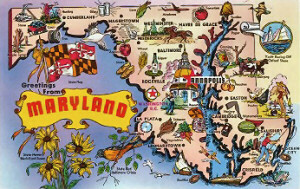 Constitution: Constitution of Maryland, 7th state to enter the Union. Manufacturing: Computer and electronic products (communications equipment, surveillance and navigation instruments) are Maryland's most important manufactured products. Food processing (soft drinks, alcoholic beverages, poultry products, spices, bread) ranks second. Chemical production (soaps, other cleaners, pharmaceuticals, paint) ranks third. Services: Community, business and personal services such as private health care (doctors offices, private hospitals) and support services for business/government (computer programming, consulting, data processing, janitorial, security) lead in the services sector. Finance, insurance and real estate ranks second. Baltimore is a leading financial center in the eastern United States. Government services (operation of public schools, hospitals, military activities) is Maryland's third-ranking service industry. Mining: Crushed stone, used in the construction industry, is the most valuable mined product of Maryland. Other mined products are limestone, marble, sand and gravel, coal, natural gas, clay, peat and portland cement. Fishing: Maryland is a leading state in the production of blue crabs. Other products are Atlantic croakers, catfish, clams, crabs, menhaden, oysters, scallops, striped bass, flounder, white perch, swordfish and tuna. Highest Point: Backbone Mountain, 3,360 feet above sea level. Natural Resources: Natural resources of Maryland include fertile soils and sand and gravel deposits as well as clays, coal, limestone and natural gas. Maryland House of Delegates: State Delegates . 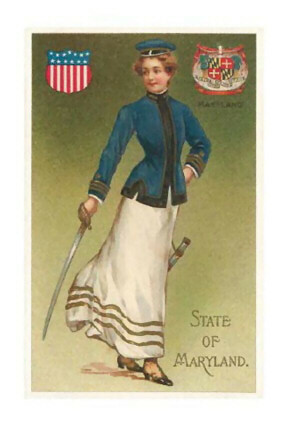 Maryland Senate: State Senators .